For a long time, I was looking for a way to integrate my LED strips into my Smarthome, which are permanently installed in the living room cupboards. Now I have not only found a solution that works, but also a solution that really excites me and that I am thrilled about for a long time to come: I control my LED cabinet lighting with a Zigbee LED controller via the Philips Hue system. Not so easy to connect a normal LED strip to the proprietary Philips Hue system, but possible. In 2015, I bought new living room cabinets from Hülsta whose glass shelves were equipped with RGB LED lighting. Unfortunately, I quickly realized that the furniture was, as expected, of high quality, but that the control system for the integrated LEDs could at best be described as cheap and rudimentary. Here, the simplest RF remote controls from the Far East were used as standard, each of which could only operate one cabinet. So there were four remote controls for four cabinets in the house. The mini colour wheel of these scrap remote controls made everything possible, but no exact colour selection: In the end, each cabinet had its own color, even if you had been trying for minutes to set all cabinets the same. First I tried yeelight, miLight and Co. out. I cut the original RGB controllers and wired the LED segments to these supposedly smart controllers instead. The result: The cabinets could be controlled centrally from a mobile phone with color controls, but interaction with other Smarthome components such as Homematic, ioBroker and Alexa was, if at all, limited and unreliable. In addition, the systems were often affected by failures. Especially after power failures I had to struggle more often with configuration loss or with the loss of the coupling between controller and control center. In addition, only a maximum of 4 controllers could be addressed with a central unit, which severely limited the expandability. In addition, these Chinese control centers caused strange data traffic in the network. 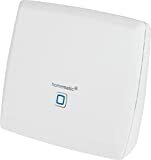 One day, for example, I experienced that I could control my miLight lamps from the outside even without a WLAN connection to the home network. Sounds like a comfort function at first, but if you haven't actually given any permissions to the outside for this control center, then it's quite frightening. Living my own life in Chinese IoT devices is really the last thing I want. How do I get a normal LED strip connected to Lightify or Hue? Again I started looking for an alternative. In the meantime, I had learned that Homematic (my central house control system) was now supporting the Osram Lightify and Philips Hue systems natively. Although I knew that implementing lighting control with these systems would often be more expensive than with Asian products, they simply didn't work either. But one concern remained: Neither Osram nor Philips offer products for their systems that allow existing LED segments to be controlled via cable. Instead, both manufacturers are trying to sell expensive LED strips with integrated controllers. 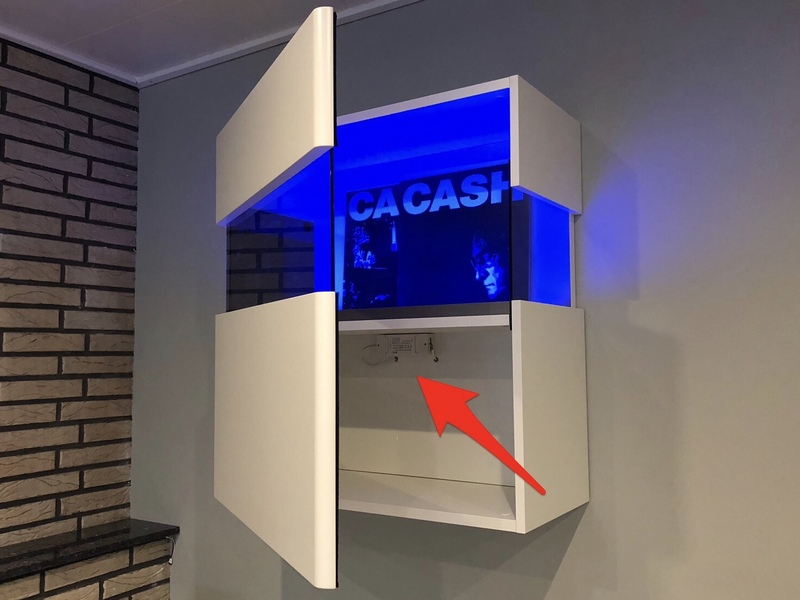 I can understand this economically at first, but even if I were willing to replace my existing LED strips, I would not have been able to, because the LED strips are permanently installed in the glass shelves of my cabinets. Meanwhile I knew that the systems Osram Lightify, Philips Hue or Ikea Trådfri all used the so-called Zigbee protocol to control the lights. With this knowledge I started to search for third market controllers that also worked with Zigbee and found some products that also promised to work with Lightify and Hue. I ordered a total of 6 different models from different manufacturers with prices ranging from 9€ to 50€ per controller. I also ordered the Philips Hue Bridge after I (a computer scientist by profession) failed to integrate an Osram Lightify Gateway into my network. After I had put the Philips Hue Bridge into operation, I started to set up the 6 different controllers, connect them to the bridge and connect them to the LED strips. 3 of 6 controllers could not be connected to the bridge. The devices were not found. 2 of 6 controllers could be paired, but switched off completely, as soon as you wanted to control the color temperature in the Philips Hue App, one of the controllers became extremely hot. Only one controller did its job with flying colours: Unfortunately, the most expensive one as well. Apparently there's still some truth to the saying "Buy cheap, buy twice". I had to bite the bullet and spend almost 200€ on 4 LED controllers if I wanted a really clean and reliable solution. For 50€ per device I get a controller in a solid case, whose cable entries are screwable and which implements all input commands from the Philips Hue App perfectly. The devices are neat and stable, only the cable clamps could be of higher quality and easier to use. Tip to the manufacturer: There are good PCB connection terminals from WAGO, where you don't have to crush your finger and which also fix narrow conductors well. Unfortunately, the controller is also not necessarily compact, which means that I cannot place it behind the cabinet where it is not noticeable, the housing is simply too thick, or the distance between the cabinet wall and the wall is simply too small. So I have to put the device in the cabinet and drill through the rear wall of the cabinet. But I would have had to do the same with four of the other controllers. Altogether one of the higher quality electrical products "made in China". And what about the integration into Smarthome? Philips Hue has a great API for coupling to external systems. My Homematic found the Hue Bridge in the network and I can now address the Hue controllers both from the Hue app and directly from the Homematic. This is especially great if you want to use the lights for optical signalling of events, see more below. The coupling to Amazon's assistant Alexa was just as simple. Voice commands like "Alexa, cabinets blue" or "Alexa, sideboard to 50%" work perfectly. Ist zwar eine teure Lösung, aber ich hab jetzt in den sauren Apfel gebissen. Im Gegensatz zu allen andren Lösungen für die ich vorher schon gEld aus dem fenster geschmissen habe funktionieren diese Controller mit dem Hue-System zuverlässig.